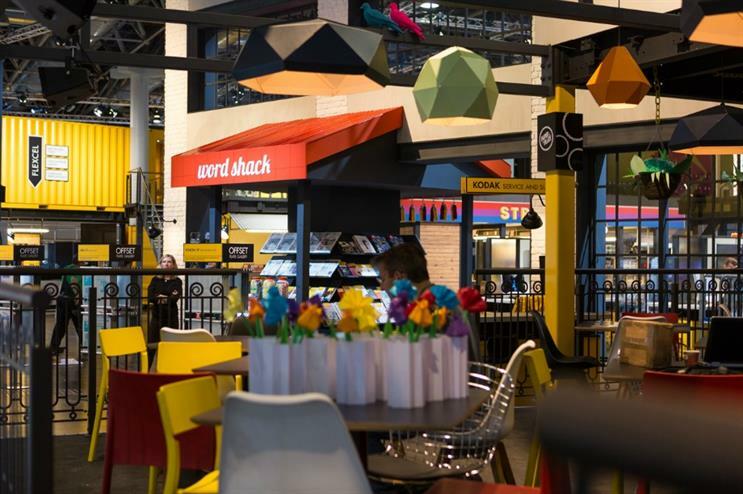 Kodak has launched its latest trade show activation at print and crossmedia solutions show Drupa, reflecting the brand's commitment to brand experience activity. Devised by agency Jack Morton, the concept includes a life-size interpretation of an urban neighbourhood called The Kodak Quarter - depicting an urban area where warehouses have been converted into print presses and industrial spaces taken over as creative studios. The experience is designed to reflect the evolution of Kodak’s brand, a message brought to life through the theme of a regenerated urban environment. Drupa is taking place in Dusseldorf from the 31 May-10 June. The Kodak Quarter is divided into four subsections with a distinct identity. Each brings Kodak technology to life through a series of city-inspired creative spaces such as a New York City-style loft space, a pop-up ‘Made with Kodak’ gallery and a fly poster wall featuring posters inspired by the arts and fashion industry. The pop-up gallery showcases Kodak’s collaboration with Jefferson Hack, for his book, We can’t do this alone: Jefferson Hack The System.’ A limited edition of 5000 individual book covers have been ‘made with Kodak’, reflecting the book’s spirit of progressive individualism and radical publishing. In the Kodak Quarter, attendees will experience the best of Kodak’s print technology and its 'Print. For Good.' message. Danielle Atkins, vice president of brand at Kodak said: "Kodak is a creative company for creative people. The Kodak Quarter at Drupa brings this to life." Mike Kunheim, managing director at Jack Morton Worldwide added that the experience at Drupa exemplifies this approach. "We are thrilled to have the opportunity to help Kodak create something extraordinary – and achieve a new level of experience." Jack Morton won the Kodak brand experience account last December and has been developing a creative concept for Kodak's brand experiences, which will be implemented across the brand's trade show marketing calendar. The first activation devised for the brand was unveiled at Las Vegas-based consumer electronics and technology show CES, which took place in January.